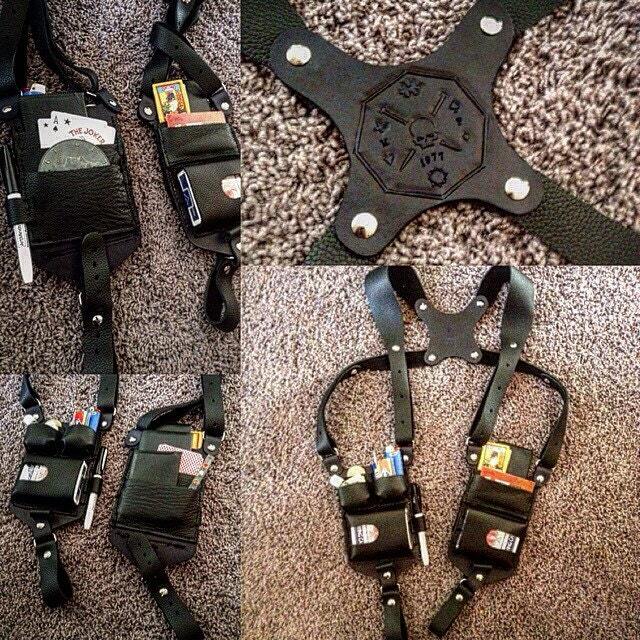 Custom leather shoulder holster harness designed specifically for magicians and cardists! 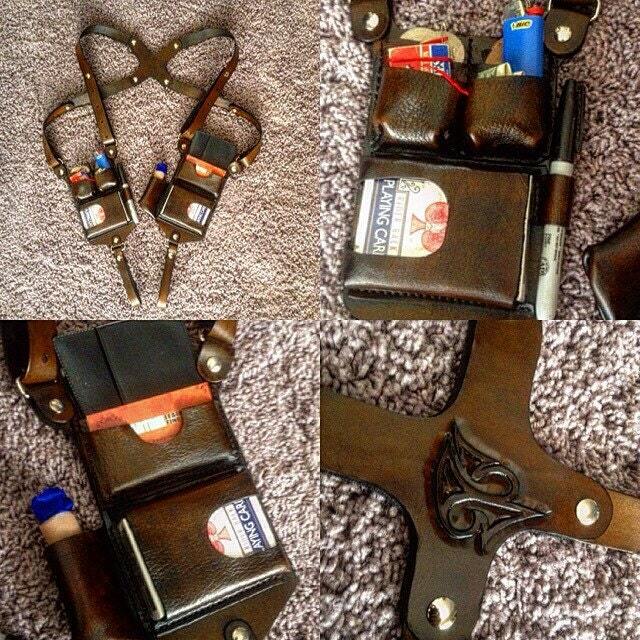 Free up your pockets with style and have everything you need for your entire show on your person. Thick and sturdy genuine 4-5 oz veg tan cowhide construction that is 100% hand cut, hand molded, hand dyed, and hand stitched! 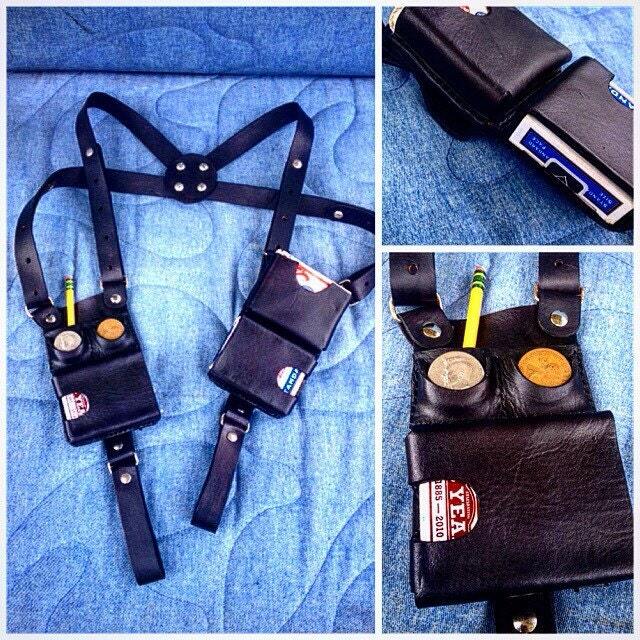 Customize color and amount and size of pockets, too! Completely and easily adjustable with a flat head screwdriver.